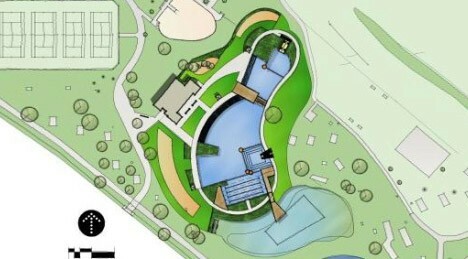 After years of design and development, the first naturally filtered public swimming pool in the United States is set to open later this month in Minneapolis, the largest city in the Land of 10,000 Lakes. 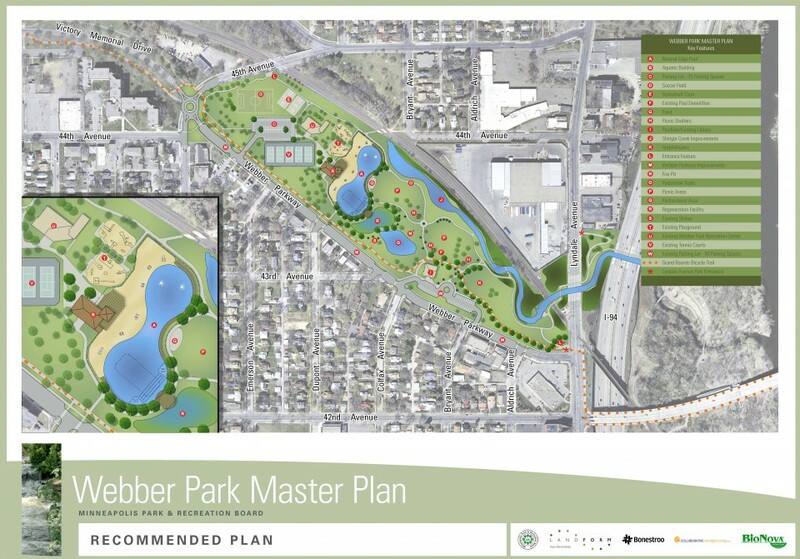 Located close to the Mississippi River in Webber Park, the project draws on European precedents but Minnesota law had to be changed to allow for this novel, chemical-free approach. A series of filtration strategies including appropriate plants, bacteria and microorganisms serve to keep the pool organically free of harmful bacteria and nutrient build-ups. Some city swimmers will still need to accustom themselves to the unusual look of the water, appearing more like that of a lake than a chemically-cleaned pool, but for most Minnesotans this should not prove too difficult. The main 500,000-gallon swimming area has space for up to 500 people in the water at once and a 13-foot deep end for diving, while an adjacent bioengineered pond helps to cycle and clean water from (then return it to) the human-occupied side. Over 2.5 miles of underground and underwater pipes push and pull water through this complex but effective system. The project has not been without problems, including delays and additional costs, but as the first of its kind in the country there were bound to be some setbacks along the way. Migrating ducks and toads, for instance, attempted to settle the pool while it was under construction and had to be scared away and moved along, respectively. Poorly-chosen fill had to be replaced, weather pushed back elements of construction and various other surprises found on-site contributed to slower execution. 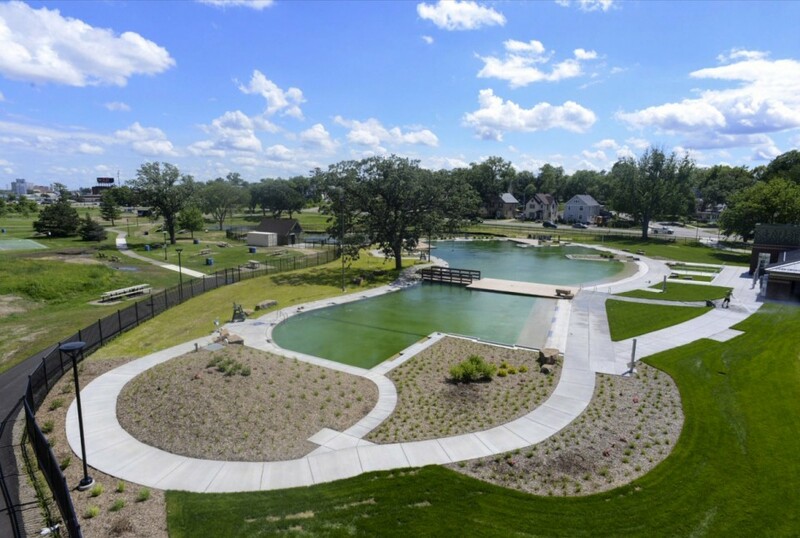 Still, this ground-breaking approach represents a solid test case for other states interested in pursuing similarly sustainable organic pools as well as a legislative precedent for other areas with similar laws currently prohibiting naturally filtered designs (lead image via CBS MN).